The market for used mobile phones grew by 10% in 2018 with 140 million devices sold worldwide. In today’s retail environment this presents an opportunity for savvy retailers. The potential for higher profit margins on professionally refurbished phones sourced from the public is greater than from buying new devices direct from the manufacturer. But dealing in used mobile devices is fraught with risks for the unwary. Recyclers cannot just simply re-sell a used device that is sold to them. With people using their smartphones for more and more of their day-to-day activities, the average smartphone is a goldmine of personal data. From social media accounts and online shopping, to personal photography and emails sent and received, a used device is full of valuable personal data. Data breaches are a hot topic in the media, with internet giants like Facebook and Google coming under-fire for mishandling user’s data. The public are increasingly aware of their rights and the fact that their personal data is a valuable commodity in today’s economic landscape. Data breaches can leave a business’ reputation in tatters. After the most recent accusations of mishandling personal data, Facebook engaged on a wide-spread (and presumably very expensive) national advertising campaign in an attempt to mitigate some of the damage. Very few companies have the deep pockets of Facebook and Google. Data leakage that results in the exposure of personal customer details or confidential corporate information from incorrectly wiped devices can be devastating for a smaller retail company. With the introduction of GDPR, the requirements for recyclers and corporations to erase data from devices has become an industry standard. Regulatory breaches are now being punished with ever increasing financial penalties. These regulations have been drafted for very good reasons – to protect consumers from having their data shared unlawfully. You could be opening your business to severe financial costs if you do not comply with data handling policies. A simple factory reset isn’t enough. If you buy a device from someone, and then sell it on without using a GDPR approved mobile erasure tool to clear all user data from it, you’re not handling personal data in a compliant manner and could find yourself with a hefty fine to pay. The biggest risk to your business is data security breach. Whether this is caused by an unwiped device or data recovered from a supposedly “wiped” device that was disposed of – the result is the same. Data that was entrusted to the secure care of your organisation has been exposed for public, and possibly criminal, consumption. These fines are significant even for the largest of companies, so you need to ensure you’re handling mobile phone erasure properly and securely. For this you need a GDPR compliant, ADISA approved mobile erasure tool. Large and medium organisations really do need to mitigate the risks from sloppy data erasure practices. 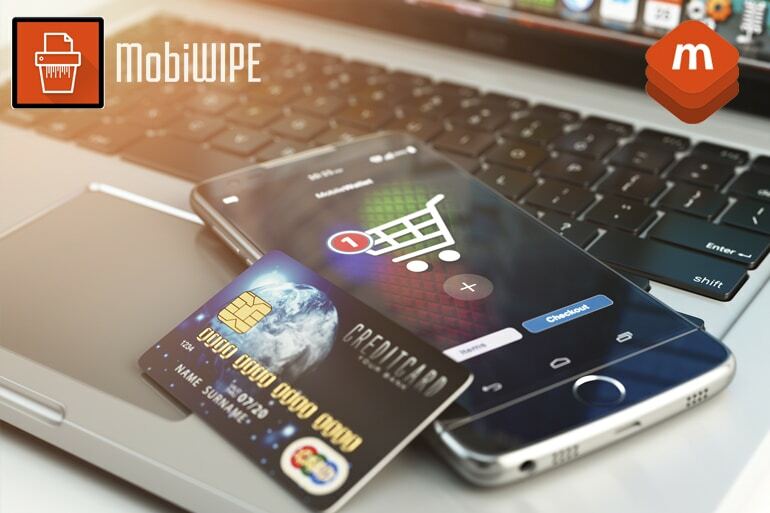 MobiCode have been working tirelessly since 2011 to build the best solutions for businesses involved in the second-hand mobile phone industry. We know what is required when you handle used devices and how to make them compliant for re-use. Let us explain how we can help you to mitigate the risks for complete peace of mind. Call today for a free consultation.